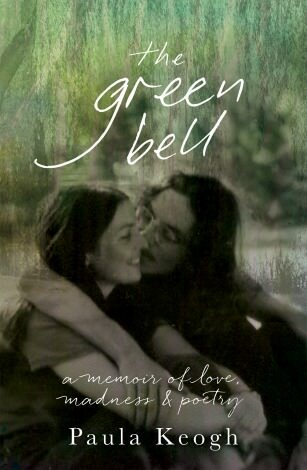 I was attracted to The Green Bell by the part that the poet Michael Dransfield has in it. He was a symbolic figure of the 1960s, representing the Dionysian and Bacchanal as against the ordered classical world of my studies and faith, with his raw and needle-strewn life and poetry and his photograph in a Franciscan cowl. The attraction and unease he had evoked in me marked unfinished business with such questions as what makes a human life worthwhile, what it is to waste it. Paula Keogh's memoir offered even more than I had hoped for. It echoes Dante's Purgatorio in describing her journey through the pain of madness and purification, shared with significant people who accompanied her. It is a deeply moving account, unsparing in its self-reflection and fastidious in finding precise words in which to describe what she experienced. What could have been a record of despair ends in hope and in the celebration of presence through memory. The central figures in Keogh's journey were her school friend Julianne Gilroy and Michael Dransfield. Both are represented in haunting photographs, Gilroy looking towards the camera with eager eyes and strong mouth, ready for whatever life brings. She lived in music, and music in her. Dransfield and Keogh are shown embracing — Keogh in ecstasy and Dransfield in tenderness. Keogh's first onset of madness and loss of identity came with Gilroy's death in a psychiatric institution after intensive, probably reckless, treatment by shock therapy and drugs. Both young women were then in the early years of their university course. The encompassing Catholic framework of meaning taken for granted during childhood fell away under their analytical questioning, and their belief in rationality was tested by the violent social changes of 1968. They tried to read a discordant world's music by defining each of its notes. The options for living and commitment were endless and the pressure to follow them was correspondingly high. After Gilroy's death, deprived of the friendship that was her one fixed point, Keogh also spent time in treatment, returning in 1972 when her delusion that she was Gilroy mastered her, and she was dissociated from her world. There she met Dransfield who was being treated for drug addiction. He had a gift for giving himself totally to any experience. His affectionate and generous companionship and invitation to enter his life in poetry led to a deepening friendship and soon to their engagement. For Keogh it enabled her to recognise that Gilroy had died and to have a sense of herself, no longer simply observing herself as an outsider. "The attendants of Keogh's journey were faceless white-coated doctors who administered shock treatment and drugs. They represented for her the unhuman face of psychological nursing in which people were the objects of science." Dransfield lived for poetry, or more accurately, he lived his life as poetry, making of each experience a poem. He was protean, engaging himself in the variety of encounters with the world, but at the centre was darkness. Death and survival run through his poems. The lasting, exclusive relationship of which Keogh dreamed was not a possibility. But the gentle affection and responsiveness to experience and invitation he brought to her was a lasting gift. Eventually the relationship foundered cruelly because neither could give fully what the other quested for, but they were reconciled before Dransfield's death of an overdose. Keogh was again devastated, but her love of Dransfield was central in convincing her that her life was worth fighting for. The attendants of Keogh's journey were faceless white-coated doctors who administered shock treatment and drugs. Although she admits that such treatment could have beneficial effects, the doctors represented for her the unhuman face of psychological nursing in which people were the objects of science. She prefers to speak of madness — a human affliction — rather than of schizophrenia, a distancing word. Her journey continued after Dransfield's death, her mental health remaining precarious as she dealt with guilt and loss. But she found a way of living, particularly through her relationship to her daughter who encouraged and helped her in the conceiving and writing of The Green Bell. In the writing of the book she came to a place where she was simply grateful for the easy presence in memory of her friends who had died and of her younger, mad self. In returning freshly to the life and poetry of Dransfield through this moving book I recognised what I had once been uncertain of: that people are both more and less than symbols of intellectual styles or cultural movements. Nor is their worth defined by what they do or believe. No matter how addicted or lost, as he undoubtedly was, Dransfield was above all a human being with loves, dreams and gifts which he gave generously to others. He transcended his generation, his transgressiveness and even his poems. DELIVERENCE In response to the death of a young boy who leapt from a building under the influence of hallucinogenic LSD in the belief that he could fly. I trod the mists of Kathmandu with psychedelic derring-do on a magic mushie avenue that changed the world from green to blue. Across fields lit in spangled dew in transcendental bliss I flew to false horizons strangely new where human fears all men eschew. Yet, from a distant past I knew enduring loves were very few amidst these mists of troubled hue where no-one loves or cares for you. Then came a man, his mind askew, who asked of me "how do you do" . I said I did as others too but now could not do up my shoe. He had , said he, as he waved adieu heard from a passing Zen guru that bouncing back was overdue in those who died in Xanadu. From false horizons lost in blue, Elysium where mushrooms grew and sparkling flowered fields I flew to find the love that I once knew. There are a number of words that rhyme with mad: sad, bad and glad being a few. All authentic. It can be a long, tortuous journey to reach gratitude but, once there, there's no better place. What was it Mary MacKillop said? : "Gratitude is the memory of the soul." Thanks, Andrew. Sometimes I think gratitude is a synonym for happiness; sometimes I think it's a synonym for holiness. At times/ even the most committed / to company or cause,/ or maybe both,/ can find themselves/ exhausted and beset/ by weight of contradictions raining down,/ especially when / the day seems lost/ and digging deep/ encounters/ cupboards bare/ despair's thick frost,/ inset,/ un-thawing everywhere . . . / At times like these/when everything seems dark/ and winter rules,/one open window,/ unlikely though it seem/ is all that's needed to permit/ the vision/ of a single dawning bud/ on shooting twig:/ defying the reign of dark, /birthdaying in the world . . . Thank you Andrew for a beautiful illuminating review of this book, and your experience of the times, the people, and your responses to the book itself. truly beautiful. Thank you Andrew for such a considered and insightful commentary. I was a year behind both women at our school in Canberra, they both had a powerful presence. I struggled to feel generosity to Michael Dransfield, but your context gives a much more nuanced view of the importance of his presence. Many thanks Andrew for your thoughtful insightful review of my sisters' book. I am interested that identified gratitude as so significant in Paula's life learning and giving. In different expression It is a gift our mother lived in her last years and a gift I too have come to treasure. "What makes a human life worthwhile, what it is to waste it?" This is a question that presupposes individual autonomy. What do we do about the people who mindfully care nothing about wasting other people's lives? "questions as what makes a human life worthwhile, what it is to waste it". The worth of a human life can be measured by the positive effects it has. We are not only individuals but also integral parts of the Great Human Body - the Human Race. "Madness and drug addiction certainly detract from the positive effects a life can have. But "what they do or believe." can sometimes have far worse negative effects. The bonding of member of various religions to misleading traditions, making them think their path to God is the one and only path, has led, and is still leading to atrocities being committed against innocent 'others'. And no matter how much suicide bombers feel they are contributing to God's Plan, they are wasting their own life and that of others. Beautiful Andrew. "And life itself is only an instant Only the dissolving Of ourselves in all others As though a gift to them" Boris Pasternak BTW The Green Bell is on sale at most good book stores. Thank you Andrew for this searching appraisal of "The Green Bell." I am reminded of Socrates claim that 'the unexamined life is not worth living' and its only in the quest to find one's 'self' that life pertains any meaning at all. But as Elie Wiesel put it "we are all partners in the quest." So Dransfield is to be commended for his unique contribution to this world, for giving Keogh the means to find gratitude for her life. Death does not have the final word ever, its just a gateway to unparalleled creativity in the fullness of life. Andy, you eloquent alternative Jesuit, you! Your words exactly express what life was like to be lived at the interstices of a sheltered Catholicism and the social and cultural upheavals of the 1960s.